Jennifer: "My style is bohemian-vintage. Today's outfit is inspired by the flower child look: a long dress I converted into a shirt, high-waisted jean shorts and wedges." TorontoVerve: If there was a celebrity who could play you in a movie about your life, who would it be and why?" Jennifer: "Kate Hudson would play me well because she is known for her bubbly, optimistic and happy personality. She always looks as though she was kissed by the sunshine with her golden locks and bronzed skin. I consider myself a 'summer girl' after living in Australia for 2 years and I adopted a lot of their fashion sense. 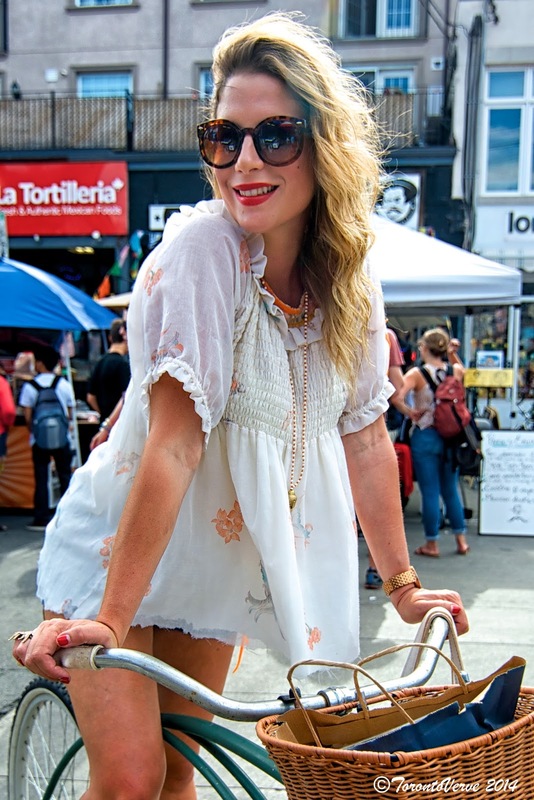 I think summer is my favourite season when it comes to my beachy-boho fashion choices." 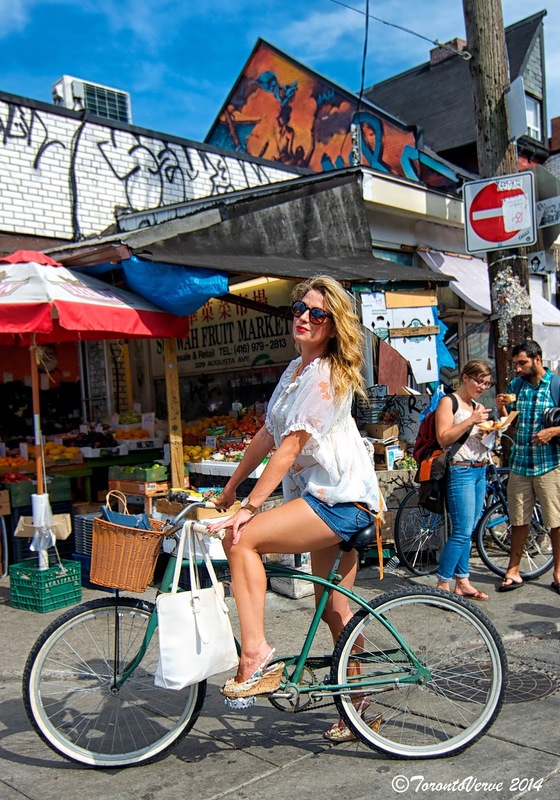 TorontoVerve: "I love your vintage bike. Where did you find it?" Jennifer: "It's from the 1940’s. I found it at the St. Lawrence Antique Market a few years ago for 40 dollars. I added the white-wash tires and basket. I love it." Follow Jennifer on Twitter, and Instagram.